…but also displays a files relationship with other files, version history, time tracking, and more. The capture above is a collection of simple HTML files comprising a review area for one of my clients. 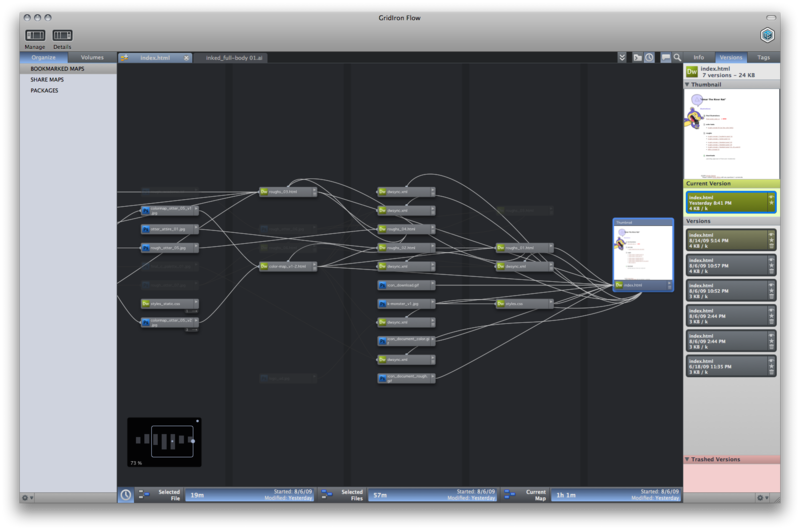 Flow tracked everything…right back to the original scans I did which evidently lead to content for the review area. -Word. Check out Flow’s features, the concise tutorial videos, or just take the guided tour.